So, what do you think? 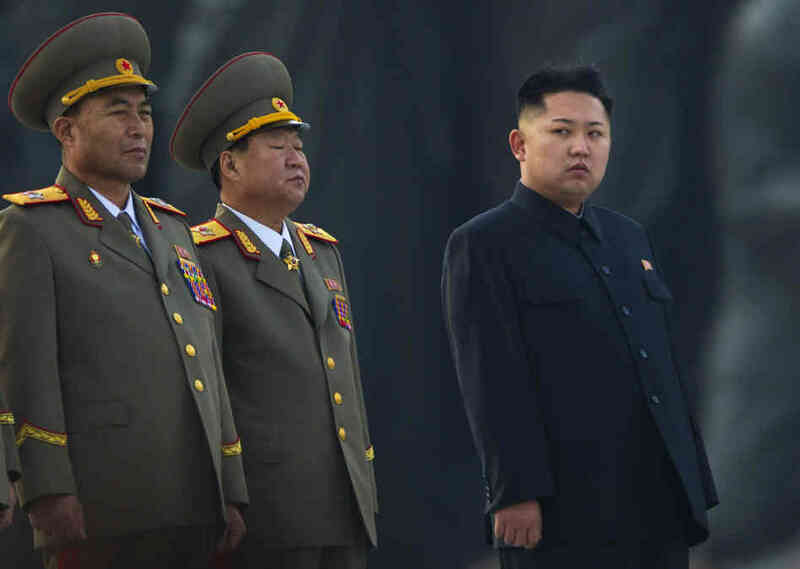 Is Kim Jong Un, the current leader of North Korea, acting rationally? He has declared war on South Korea and is saber rattling toward the United States. My take on all of this is that the guy desperately needs forgiveness therapy. Someone kicked him around in his past and he does not have the insight to recognize this. Did you know that he was raised to be a warrior? That, in combination with a furious heart, is a recipe for disaster. His actions seem to be classic displacement and not rationally connected to missile launches in the slightest. Let’s send him a copy of the books, Forgiveness Is a Choice and The Forgiving Life……..It amazes me how too many world leaders lack insight into themselves. They impose their own personal wounds onto the world. The tragedy is that there is a solution: reduce the fury within caused by others in the past. So simple, so far from the world’s radar. (That’s why we need radar). This is one of the few questions (received in our Ask Dr. Forgiveness section of this website) I had never considered until it was asked of us at the IFI this week. I am presuming that the question-asker is focusing on the concept of forgiving (not apologizing and seeking forgiveness). I spent some time “googling” forgiveness in communist literature, including excerpts from the writings Karl Marx, Vladimir Lenin, Leon Trotsky, and Mao Zedong. I further examined the work of Louis Althusser, an influential French Marxist philosopher. Finally, I consulted the literature on liberation theology, which has roots in the Marxist notion of freeing the poor from oppression though class struggle. The short answer is that forgiveness is rarely mentioned in the above literature, whether it concerns political, philosophical, or theological writings. I found no mention of forgiveness in Marx, Lenin, Trotsky, Mao, or Althusser. Of course, this does not mean that the word is completely absent in their writings or in other authors’ works that I did not consult. It only means that I did not find it and that it appears not to be highly emphasized. Mao Zadong’s writings are similar: “Classes struggle, some classes triumph, others are eliminated. Such is history. Such is the history of civilization for thousands of years.” The struggle for justice, or in this case the ascent to power, supersedes the mercy of forgiveness. Even in liberation theology, emerging in a Christian context in Latin America as a strategy for reducing poverty and oppression, the emphasis is on justice rather than forgiveness. There is one central exception, that of Daniel Bell in his book, Liberation Theology After the End of History. New York: Routledge, 2001. Bell refers to the oppressed poor of Latin America as the “crucified people.” For him forgiveness was a political way of standing against oppressive government. Forgiveness for Bell is a kind of radical political move to remain alive in the face of severe stress. Yet, such an idea does not lead to a clear strategy of how forgiveness will liberate the poor from their material poverty and thus seems to be contrary to the major tenets of liberation theology. In response to liberation theology in Latin America, there has been a more recent movement known as “the theology of reconciliation” (Edward Lynch, The retreat of liberation theology, Homiletic & Pastoral Review, 1994). To quote Lynch: “For the liberationists, unity will come when economic and social divisions are eliminated, and they are willing to use violence to achieve this end. For their opponents, the unity that matters is cultural, spiritual, and far removed from economics.” This new theology in Latin America centers on “the reality of the reconciliation of man with God, with himself, with others and with all that is created” (Paul Sigmund, Liberation Theology at the Crossroads: Democracy or Revolution? New York: Oxford University Press, 1990). This new theology as a response to liberation theology is not at all Marxist, but instead is orthodox in its Catholicism. I only mention it as counterpoint to the ideas underlying liberation theology. As one quick point regarding apology and the seeking of forgiveness, there are statements in the news and other writings that communist rulers, such as Ho Chi Minh in North Vietnam, have used a political strategy of confessing “errors of thought.” This appears to be a political strategy of acquiescence (getting dissenters to agree to the party’s ideology) rather than the exercise of a moral virtue toward the goal of genuine reconciliation of persons. As one work for the general public, please see the Reader’s Digest, November, 1968 on the example used here. As a more scholarly work, focused on Stalin in the Soviet Union, please see Igal Halfin’s work, Stalinist Confessions: Messianism and Terror at the Leningrad Communist University. University of Pittsburgh Press, 2009. In sum, if the concept of forgiveness in any legitimate sense is in communist literature, it is not obvious and not emphasized. The quest for justice reigns, and a philosophical examination of just what constitutes justice in this context would require another essay. As Aristotle reminded us over 3,500 years ago, we should never exercise any one moral virtue in isolation of the other moral virtues, for to do so is to invite distortion even of this one, prized virtue.